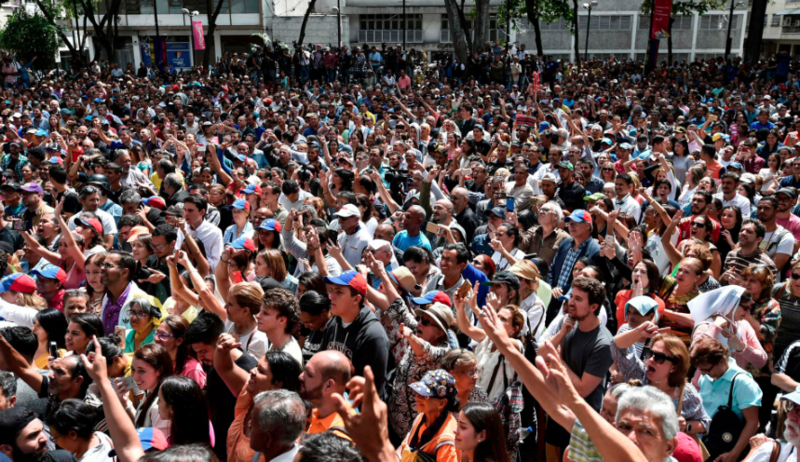 The usual mainstream media suspects have their printing presses and news presenters set to max propaganda mode over Venezuela. The Guardian, Times, Washington Post, BBC are having a field day. 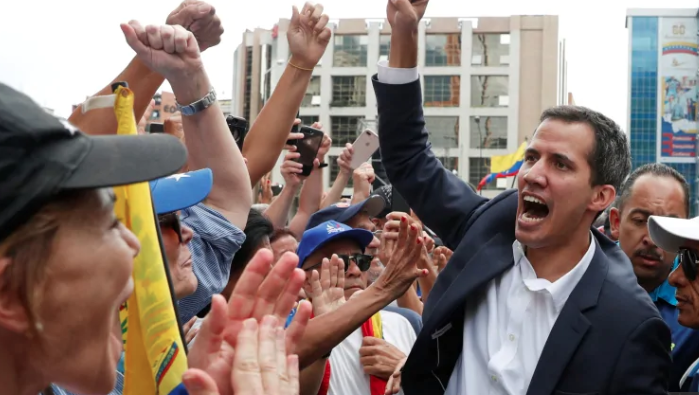 Earlier this week, the US declared support for the president in waiting – the right-wing Mr Guaido. Some Latin American nations and Canada have all said they back the 35-year-old opposition leader. Then on Saturday, they were joined by four European Union countries, with Britain, Germany, France and Spain saying they would recognise Mr Guaido unless fresh elections were announced. British ex-ambassador Craig Murray has a few words on the matter. His experience in such matters is important. Here is his analysis. Lastly, we should not forget an article published in The Observer/Guardian back in 2002 when the last coup was raging in Venezuela. “The failed coup in Venezuela was closely tied to senior officials in the US government, The Observer has established. They have long histories in the ‘dirty wars’ of the 1980s, and links to death squads working in Central America at that time. It also deepens doubts about policy in the region being made by appointees to the Bush administration, all of whom owe their careers to serving in the dirty wars under President Reagan. 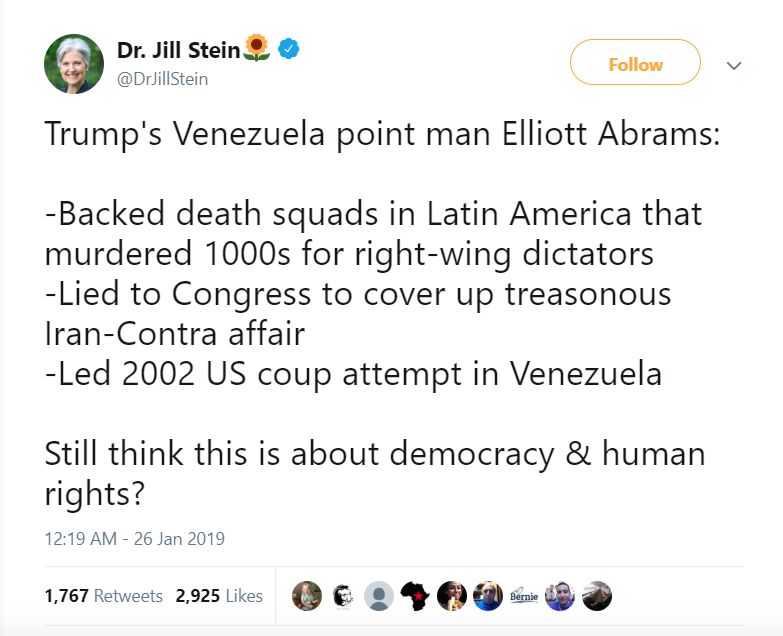 So, the political situation in Venezuela is quite easy to read – it’s a coup – an American coup. And Britain, like the lap-dog it was when it came to Iraq, Libya and Syria is also supporting this illegal coup for no other reason than it is being told to do so. For some light-hearted reading HERE is a list of those countries America has overthrown through regime change. Interestingly, Wikipedia even lists the current crisis in Venezuela as a country being overthrown by an American coup.